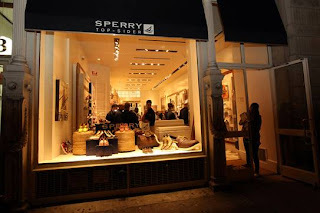 On Thursday March 1st, Sperry Top-Sider celebrated the opening of the brand's first Manhattan retail location with a "Beach House Warming Party". 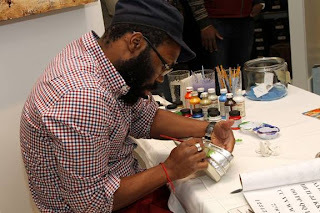 Artist Rodney White was on site, customizing shoes for guests as well as exhibiting some of his other artwork. As an added bonus, for every purchase from the evening, a pound of trash will be cleaned up at Bottle Beach in Brooklyn through the United By Blue organization on April 14th.